A look at some potential stressors and pathogens behind colony collapse disorder. The time has long passed when honeybees were taken for granted. In the past six years, colony collapse disorder (CCD) has destroyed 10 million bee hives, to the tune of $2 billion in damage, and that’s only the tip of the honeycomb. Honeybees are pollinators, and many vital crops rely on pollen to grow anew each year. Take away the bees, and we lose cherries, onions, almonds, watermelons, cucumbers, blueberries, squash…you get the picture. Of the world’s 115 most important crops, 87 of them require pollination. If we don’t figure out what’s what, and soon, the global food supply may take a crippling gut punch. Let’s review some stressors and pathogens. Corn syrup: Is there anything to like about high-fructose corn syrup? Not only is it contributing to a global obesity epidemic, recent studies link it to colony collapse disorder. Corn syrup has been fed to bees because of its low cost (same reason you’ll find it in many supermarket products), but the cheap sweetener might make them vulnerable to bacteria and pesticides. Varroa mites: Science ominously called these parasites Varroa Destructor, and since 2007 they’ve been doing their best to earn the name. 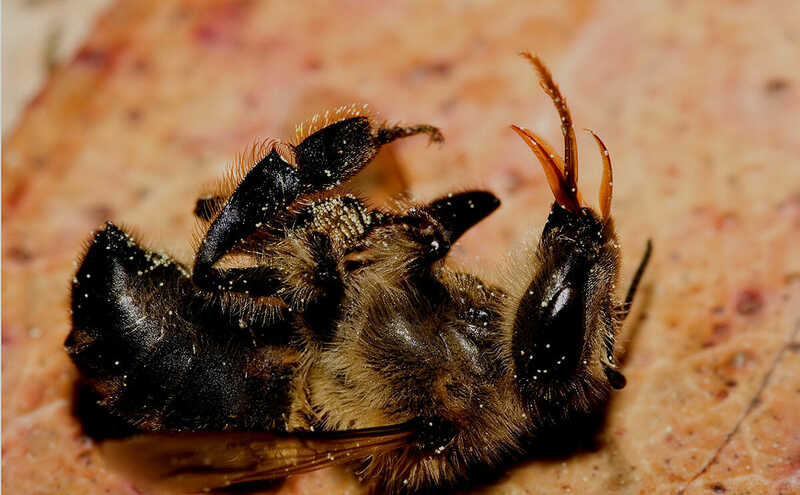 They spread a piece of work called Deformed Wing Virus (DWV), and it’s brutal; varroa mites decimated 274 of 419 bee colonies on the island of Oahu within a year. And even if you get rid of the mites, it’s nearly impossible to eliminate lingering DWV. Terminator seeds: Before most of the world opted not to pursue this technology, several large agriculture companies were working on GMOs called “terminator” or “suicide” seeds. These seeds become sterile in the second generation, and some studies claimed they were deadly to bees. Climate Change: Arguing that bees are vulnerable to weather extremes like drought and floods, climate change has been blamed for CCD (usually in conjunction with other factors). The basic theory is that ecosystems are being disrupted in unpredictable ways, while bees thrive in stable environments.